City Colleges of Chicago’s (CCC) Star Scholarship program announced five new college and university Star Transfer partnerships today, bringing the total number to 20 of four-year schools giving Star Scholars who graduate from City Colleges additional scholarships towards completion of their bachelor’s degrees. Saint Xavier University, Kendall College, Marquette University, Southern Illinois University Carbondale and Illinois State University join 15 existing four-year college Star transfer partners whose awards to Star Scholars range from $1,000 up to $50,000/year. More than $1 million in additional scholarship funds have been offered to Star Scholars through these transfer partnerships to date. 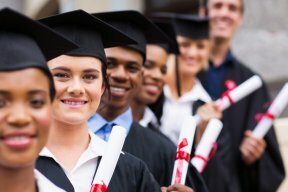 Loyola University has offered the most in scholarships to date ($425,000); University of Illinois at Chicago has accepted the most Star Scholars to date (122); and CME Group, the Star program’s first corporate partner has provided students with 25 $5,000 scholarships and connected 5 CCC students with paid summer internships at elite trading firms. In addition to the five new partners, City Colleges has been working with the following universities and colleges to offer Star Scholars additional support once they move on to earn their bachelor’s degree: University of Illinois at Chicago, Columbia College, DePaul University, Dominican University, Governors State University, Illinois Tech, Loyola University, National Louis University, North Park University, Northeastern Illinois University, Northwestern University, Robert Morris University, Roosevelt University, School of the Art Institute of Chicago, and University of Chicago. Students eligible for the Star Scholarship have graduated from a Chicago Public Schools (CPS) high school with a 3.0 GPA and test nearly college-ready in math and English, and enroll in a City Colleges structured, relevant pathway. To learn more about the Star Scholarship, go to www.ccc.edu/starscholarship.